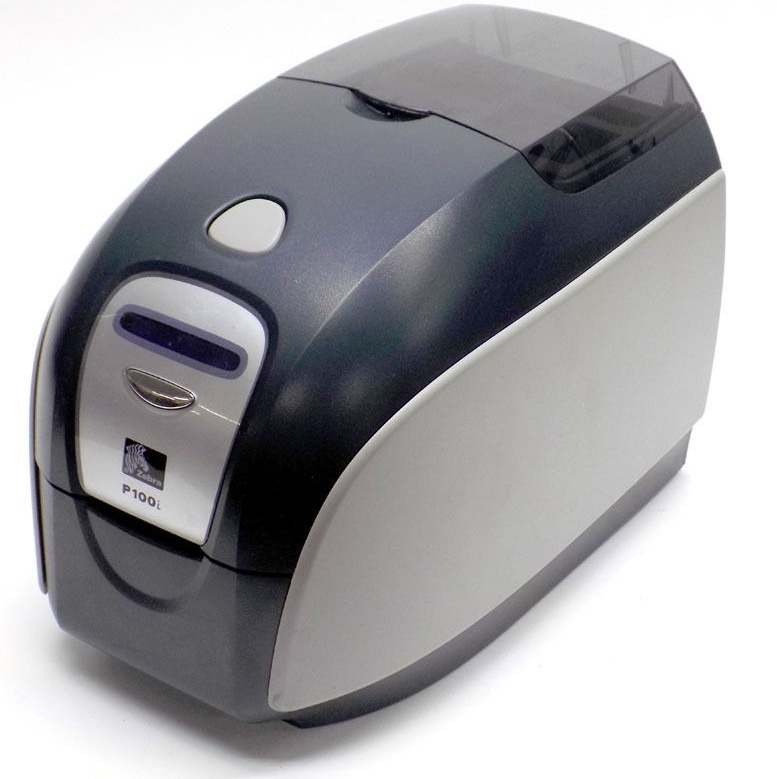 Reliable, compact and user-friendly the Zebra P100i ID card printer is one of the most cost-effective colour card printers of its class. Modern optics and a compact design, as well as highly durable plastics at small size, low weight and of course excellent printing performance make these printers absolutely convincing. The P100i colour card printer with single-card feed for single-sided cards allows users to print individually created cards at any time. Easy-to-use - create personalised cards in seconds only. Cards with a thickness of up to 1.02 mm are no problem for the P100i. This desktop device saves you time and trouble. Now, it is easier than ever to regularly produce different card types e.g. with personalised pre-printed cards. The three card compartments at the top of the printer hold up to 100 cards - always ready and always clean. High-quality printing is guaranteed with the usual reliability from Zebra at any time. Either personalised or fully printed cards are printed within seconds - monochrome or in colour it simply depends on the used ink ribbon. The plastic cards are printed single-sided at 12 dots/mm 300 dpi using either the sublimation or the thermal transfer printing method. Using colour sublimation and the appropriate ink ribbons, you produce especially durable cards for customer retention systems in retail, employee cards for access control, or low-cost visitor and member cards. For multi-functional cards, optional versions are equipped with integrated encoders that write data to magnetic stripes, smart cards or RFID-Mifare chips. The P100i is equipped with a standard USB 1.1 interface. This new version meets all requirements you might have and is even more efficient and favourable than previous single-side card printers from Zebra. Optional features, such as Ethernet, magnetic stripe and smart card encoders turn the Zebra P100i into an extremely flexible and powerful card printer.